Naureen joined PrimeCare in 2018. She received her Bachelor of Arts degree in Cognitive Science at the University of Virginia and completed her Masters of Science in Physician Assistant Studies at Shenandoah University. She is a member of the Virginia Academy of Physician Assistants and a member of the American Academy of Physician Assistants. She participated in medical mission work in Nicaragua and Haiti when she was a physician assistant student. 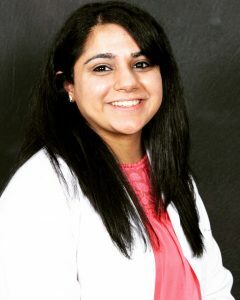 Naureen is passionate about helping others and has an interest in preventative medicine. In her spare time, she loves to hike, spend time with her loved ones, and volunteer.